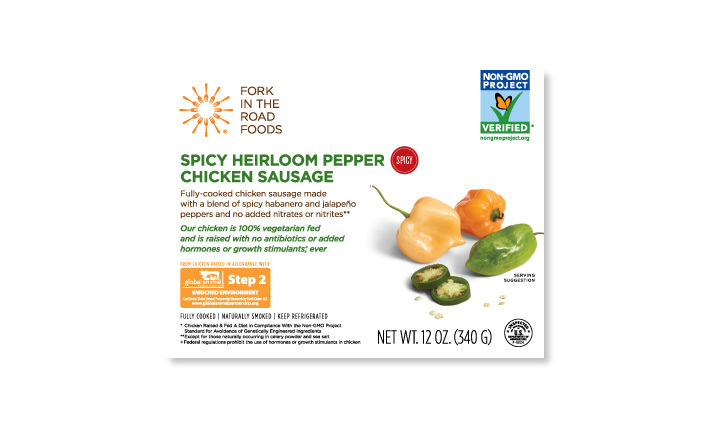 Fully-cooked chicken sausage made with a blend of spicy habanero and jalapeño peppers and no added nitrates or nitrites. Not too hot to handle. 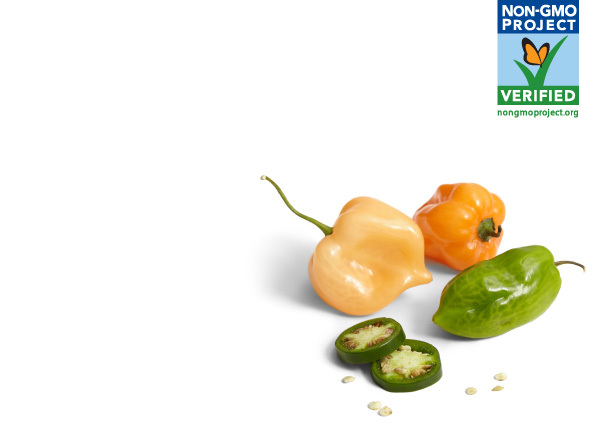 These heat-seeking links don't wallop you with spiciness. They come at you low and slow, building to a distinct yowza. Packed inside are fresh jalapenos and a zippy pinch of cayenne. Toss on a hot grill then into a toasted bun. Top with pineapples, peppers, cilantro and avocado slices. Sauté with onions, peppers and fresh tomatoes. Pile on top of a bed of polenta. Slice thin then scatter all over your favorite homemade pizza. Chicken, Water, 2% or Less of: Jalapeño Peppers, Habanero Peppers, Fresh Roasted Garlic, Minced Onions, Sea Salt, Paprika, Onion Powder, Garlic Powder, Chili Powder, Spices, Celery Powder, Organic Evaporated Cane Juice, Sodium Lactate.